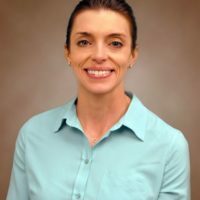 Emilie J. Calvello Hynes is a specialist in emergency medicine and public health. She has trained at academic medical centers in the US and crossed trained in austere emergency care through the International Committee of the Red Cross, Harvard University and the World Health Organization. Her professional interest is in developing emergency care capacity in post disaster countries via innovative approaches to health system strengthening and education of health care personnel to provide best practice service delivery. Among her recent field experience, she served as director of emergency services for International Medical Corps immediately after the 2010 Haiti earthquake, senior technical advisor to Catholic Relief Services during the Haiti cholera epidemic, senior faculty at JFK Medical Center in Monrovia, Liberia from 2009 to 2013. She is a consultant to the US State Department for their Senior Crisis Management and Hospital Based Management of Mass Casualty Incident courses held throughout the world. Dr. Calvello Hynes holds faculty appointments in the US at the University of Colorado School of Medicine, in South Africa at the University of Stellenbosch and in the UAE at the University of the United Arab Emirates Faculty of Medicine. She has created the Austere Medicine course currently run at the Johns Hopkins School of Medicine as well as FRAME (First Response in the Austere Medical Environment) - a lay provider emergency care training program for communities with severe resource constraints – which has been taught in multiple countries. She has served as a Johnson and Johnson Fellow in Liberia, senior faculty at the University of Maryland Global Health Interprofessional Consortium and currently sits on the scientific committees of the African Federation of Emergency Medicine and the Consortium of Universities for Global Health. Her awards include the University of Cape Town Visiting Lecturer Scholarship, University of Maryland Teaching Award, the Johns Hopkins International Scholarship, the Johns Hopkins Service Excellence Award and the Hoobler Award for Excellence in Public Health and Medicine.